Northern Pump has over a hundred years of experience building high pressure heavy duty positive displacement rotary gear pumps in all shapes and sizes. 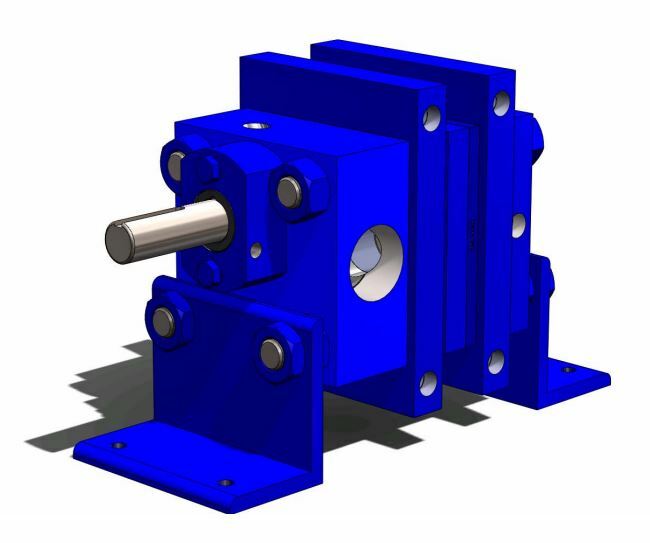 With Northern’s inception as Northern Fire Apparatus Company through modern day, as part of McNally Industries, the intention is to manufacture a gear pump that can outperform others in high pressure, challenging conditions and severe environments. Northern engineers oversee design, manufacturing, and testing at their state of the art Wisconsin facility. 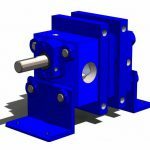 The modular design allows for customization of a gear pump for nearly any liquid transfer application, particularly those involving extremes of temperature, viscosity, pressure and inlet conditions; Northern Pump emerges as the pump of choice in many applications. With few exceptions, liquids containing high concentrations of abrasives, poor lubricity, or high corrosivity, the application of the Northern precision rotary gear pump is broad. The life of the Northern Pump far exceeds that of competing pumps due to it’s superior design and attention to detail. The careful choice of materials coupled with high manufacturing precision allows for tight clearance control to minimize slip and improve pump life. This attention to detail enhances its tolerance to liquids with limited lubricity. This is often the key actor in selecting the Northern Pump over other gear pumps. Prior to shipment to your site, every Northern Pump is tested under conditions simulated to match the conditions of the intended application. The performance test simulates the viscosity, speed, discharge pressure, and inlet conditions of the application. Flow rate and horsepower required are also verified. This quality control program ensures every Northern Pump will start up and perform exactly as designed. Northern Pumps are built to meet exacting requirements in nearly every industry, pumping diverse materials such as tar, molten lead, peanut butter, chocolate, corn oils, adhesives, hot polymers and crude oil. The Northern 4000 series gear pump is available with a wide variety of sanitary and corrosion resistant materials. Internal heating options make it easy to maintain processing temperatures when required. The modular design also lends itself to easy maintenance and cleaning. For decades, Northern Pump has built reliable rotary gear pumps to handle industry’s toughest applications, placing Northern at the forefront of the gear pump industry.